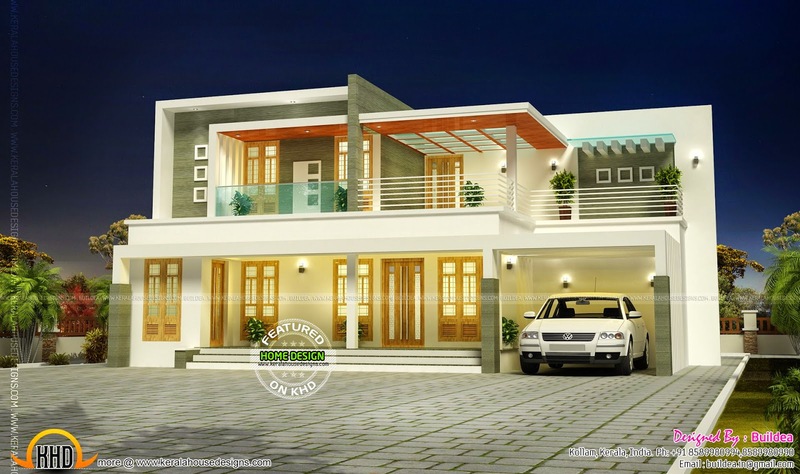 This is a 4 bedroom flat roof contemporary style house in 1930 Square Feet (179 Square Meter) (214 Square Yards). Designed by Buildea, Kollam, Kerala. Ground floor : 1260 sq.ft.